The average loan-deposit spread of local lenders reached a 3 1/2 year high of 2.35 percent in the first quarter of this year, the central bank said Sunday. According to the Bank of Korea, the spread is the largest since the 2.44 percent tallied in the third quarter of 2014. It said the gap between interest paid by banks to their savings account holders and the interest rate for outstanding loans had fallen to 2.14 percentage points in the July-September period of 2016, but the numbers have widened steadily since then. The latest findings showed that local banks only started marking up the interest given to people who made deposits in the third quarter of last year, contributing to the gap. Loan-deposit spread is a key gauge of banks' profitability from lending. The practice of almost immediately raising interest rates on loans if lenders think there is cause to do so compared to the slowness of adjusting the interest given to deposit accounts is one that has been carried out by banks in the face of criticism from the public. Among the types of loans, interest collected by lenders on mortgages rose to 3.13 percent in the first three months of this year from 2.93 percent in the fourth quarter of 2016. Numbers for ordinary unsecured loans rose from the last quarter of 2017 and rose 0.16 percentage from its recent lowt point, while the interest rate for money given to small and medium enterprises reached 3.78 percent in the January-March period of this year. In contrast, interest paid to term deposits by banks moved up a full year after lender rates were adjusted upwards, reaching 2.01 percent in the first quarter. BOK data showed that major lenders such as Hana, KB Kookmin and Woori banks all followed this pattern with their loan-deposit spread generally widening. 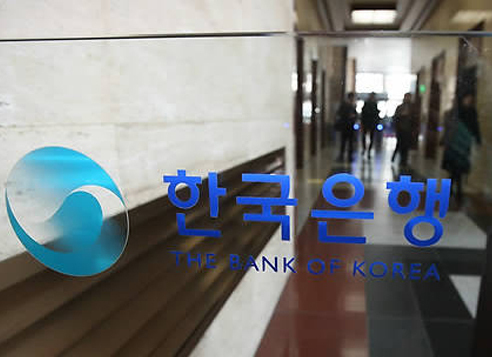 Reflecting this, the Financial Supervisory Service said local commercial banks reported interest-related profit of 9.7 trillion won ($8.96 billion) in the three months that ended in March, up by 900 billion won from a year ago.